Marine Corporal Zach Skiles was deployed to Iraq in 2003 at the start of the United States invasion. While serving on the front lines, he lost five of his friends within a two-week period. When he returned home, Zach found it difficult to hold down a job and soon after found himself homeless. 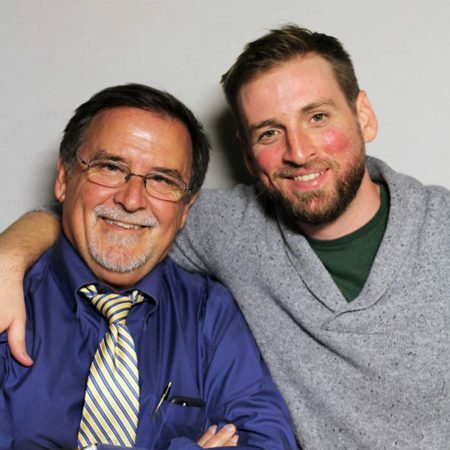 At StoryCorps, Zach sat down with his father, Scott to talk about the difficulties he faced after the war and how he got back on his feet. In 2018, Zach is in his fourth and final academic year of a PhD program in clinical psychology. He looks forward to using his degree to help other veterans in need. Produced by StoryCorps. Originally aired April 18, 2015, on NPR’s Weekend Edition.